rowing event at the Summer Olympics in Beijing. 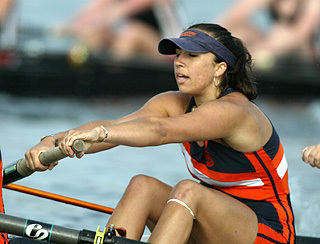 Goodale became part of the national rowing team in 2005 and went on to help the United States win gold medals at the 2006 and 2007 world championships, before her historic win at the Olympics. Her team won the 2,000-meter final with a time of 6 minutes, 5.34 seconds, two seconds ahead of the Netherlands in second place. 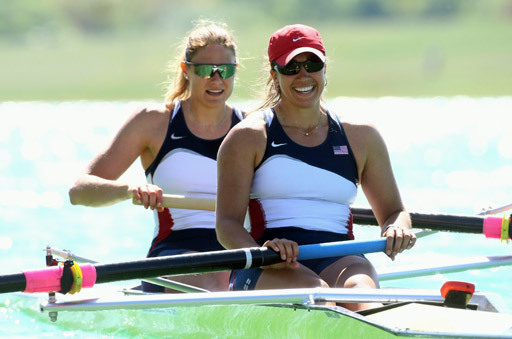 Anna Goodale is a member of the U.S. team that won the women’s rowing event at the Summer Olympics in Beijing. The athlete’s love of Maine inspires her. "When I’m away from Maine, I loose a bit of how special the state is."